← Pokemon The Series: XYZ Now Broadcasting on POP! In a rather surprising announcement Idea Factory International have today announced that the Windows PC (Steam) version of Megadimension Neptunia VIIR will be released today, on the 22nd October 2018, with a 25% Launch Discount. In addition to the release date and lunch discount announcement Idea Factory International have also re-confirmed the contents of the Digital Deluxe Edition of Megadimension Neptunia VIIR; of which will include a selection of digital goodies including the main game. This ‘enhanced’ re-release of the 2016 PlayStation 4 (and then later Windows PC) game has been rebuilt to deliver a familiar but seemingly brand new Neptunia experience. 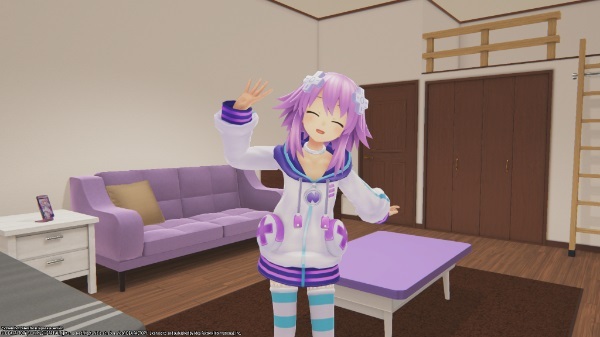 The inclusion of VR support, of which offers support for HTC VIVE and Oculus Rift will allow fans to get even closer to their favourite Neptunia characters. VR Headset is NOT required in order to play the main game. MegaDimension Neptunia VIIR is currently available for the PlayStation 4 and this Windows PC (via Steam) version is now available today on Steam.